Happy Tuesday Biblejournal family, I’m consistently reminded each day when we open up His word how great it is we are doing this together. Keep it up! God loves you and He has great plans for you! 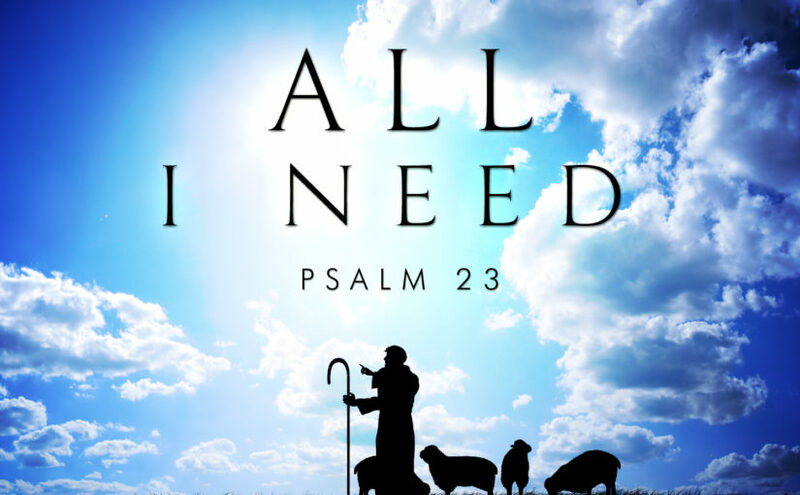 As I just wrapped up the book Traveling Light by Max Lucado I open up my email to see what I will be writing about this week, and sure enough its Psalm 23. The same chapter the book Traveling Light is about. I then proceed to get my verse of the day fro my bible app that says, The Lord is my shepherd… Psalm 23. God is always looking to speak to us when we are looking for and willing to listen. So while you read through the promises of Psalm 23 let go of the burdens you were never meant to hold on to. 1 The Lord is my shepherd; I shall not want. 2 He makes me lie down in green pastures. He leads me beside still waters. 3 He restores my soul. He leads me in paths of righteousness for his name’s sake. 4 Even though I walk through the valley of the shadow of death, I will fear no evil, for you are with me; your rod and your staff, they comfort me. you anoint my head with oil; my cup overflows. 6 Surely goodness and mercy shall follow me all the days of my life, and I shall dwell[f] in the house of the Lord forever. the Lord is my Shepherd. As I have tried to do things on my own and failed, or think I have it right, I can find rest from thinking things have to be my way. When the commercial comes on or I’m driving along and I think that I need to have it. I can have rest from the endless wants. Why? Because I shall not want. He makes me lie down. When the days are long and my eyes and thoughts are glazed over by our schedules we have to keep. I can find rest from weariness. When I’m struggling with a decision, or thinking about the future. I can find rest from the worry. Why? Because He leads me. He restores my soul. When I have failed, let others down, or just falling short in a variety of areas. I can find rest from my hopelessness. When my decisions are poor or I make misguided choices. I can find rest in my guilt. Why? Because He leads me in the paths of righteousness. His name’s sake. When I think its all about me. I’m selfish. I can find rest in my arrogance. When you know someone who has passed or wonder what lies ahead for you. I can find rest from the valley of death. Why? Because He walks me through it. He guides me. When I’m afraid of the unknown, when the world says one thing and God tells us something else. I can find rest from my fears. His presence comforts me. When I’m feeling alone. I can find rest in my loneliness, because He is with me. He has prepared a place for me in the presence of my enemies. I can find rest when all I want to do is run and hide. When I’m disappointed one day and envious the next. When I doubt where I’m going or where I have been. Why? Because He anoints me, my cup will overflow, and He follows me. When your wondering about a purpose, feeling lost, or wondering where to go next. Have rest from your homesickness. Why? Because You will dwell in the House of Our Lord forever. Let’s take on today with Our God who is right next to our side. He provides with everything we need to face any circumstance. All those bags from past years or yesterday He is waiting to take them.